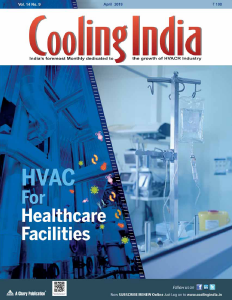 Gautam Seth, Joint Managing Director, HPL Electric & Power Ltd elucidates why India is becoming an attractive market for both domestic as well as international LED players. LED lighting is eco-friendlier and are up to 80 per cent more efficient than traditional lighting such as fluorescent and incandescent lights. Today people are realising these benefits and are moving towards LED lighting realising that. The market has witnessed a phenomenal growth over the past few years and the trend is expected to continue in the coming years. Further, there is an increased focus by the government towards energy conservation and efficiency, boosting the demand for LED lights. The Government of India has expressed increased interest in converting existing streetlights into LED and this is expected to increase demand for LEDs in coming years.  Miniature LEDs, used as indicators.  Mid-range LEDs, used in light panels, emergency lighting, auto tail lights.  High-power LEDs, used for lighting purposes. LEDs for lighting applications constitute the major market, although LEDs are also used in various forms across industries such as automotive lighting, railway signals, backlighting, displays and signage and medical appliances. Due to the low domestic manufacturing capabilities, over 75 per cent of LED lighting products are imported and the remaining 25 per cent accounts for low value-add assembly activity. More than 10 per cent of the LED lights assembled in India are exported to countries like Europe, the United States, Australia, Asia-Pacific, the Middle East, Latin America and South Africa. The GDP in India is forecasted to be 7.62 per cent between 2016 and 2020, driving economic growth and improving spending capacity of consumers. 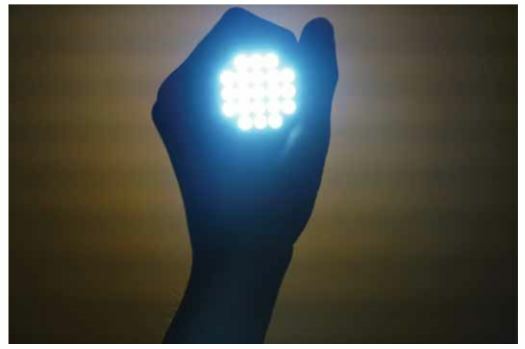 The growing interest in newer technologies and solutions, increasing awareness created by LED suppliers through product promotion and advertising is expected to increase adoption of LEDs. 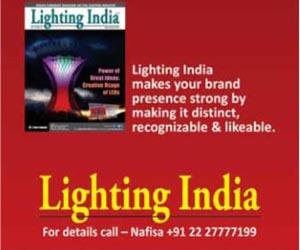 Further, large scale promotion of energy efficiency by the Government has fuelled growth of the LED market in India, resulting in the residential segment adopting LED lighting, which offers higher energy savings of around 60-75 per cent, as compared to older technologies namely, CFL, incandescent, metal halides or sodium vapour lamps. Moreover, growing interest in intelligent and smart lighting is expected to change market dynamics with the announcement for the establishment of smart cities, which will increase demand for LED lighting, based on intelligent and connected infrastructure. Further, under the ‘Make in India’ initiative, 100 per cent foreign investment under the automatic route has been permitted in construction, operation, and maintenance in specified rail infrastructure projects, which is expected to fuel demand for LED products for local consumption. 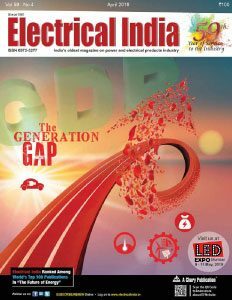 The Indian LED lighting market is expected to reach Rs 31,010 crore in 2020, growing at a CAGR of 62% between 2016 and 2020. The Government of India’s increased interest in converting existing street lights into LED is expected to increase demand for LEDs in coming years and the deteriorating power situation across the country and limited budget allocation for starting power projects have directed the government’s focus towards ‘energy conservation and efficiency’. 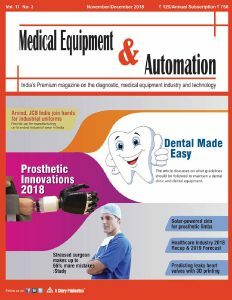 The global LED lighting market is expected to cross revenues of Rs 150,000 crore in fiscal year 2015 with a market penetration of over 30 per cent in the overall general lighting market space. The global LED lighting market is likely to grow at a CAGR of over 40 per cent until 2020. The Government has announced policies such as the Modified Special Incentive Package Scheme to encourage and subsidise investment in indigenous value addition. The Bureau of Energy Efficiency (BEE) and EESL, working with electricity distribution companies, have developed a business model to sell subsidised LED lights to households at Rs 10 against the market retail price of approximately Rs 400. All existing Government schemes to distribute CFL lamps are being modified for distribution of LED lamps. The Government of India has been making efforts to adopt LEDs for street lighting in key cities and also for architectural lighting applications for national monuments. The Ministry for Renewable Energy and the BEE have also been driving initiatives such as distribution of solar LED lanterns in villages to promote energy-efficient lighting in the country. HPL manufactures a wide range of LED lamps (including down-lighters), luminaries and LEDs at varied wattages. The company provides its customers energy efficient indoor commercial and domestic luminaries with superior design. Their lighting products are suited for use as task lighting, which is intended to be functional and concentrated, HPL LED Glo bulb which not only saves electricity but a revolutionary product in terms of design, longer life and suitable for accent lighting, which is intended primarily for decorative purposes. The LED lamps have been certified to be in conformity with the Indian Standard Index by the BIS standards under compulsory registration order by MEITY – Ministry of Electronics & Information Technology. HPL’s LED lighting range includes consumer lighting, industrial lighting, commercial lighting, and outdoor lighting. HPL is one of the few manufacturers in the country that has pretty much backward integrated state-of-the-art manufacturing with two manufacturing facilities in Gurgaon and Jabli and one each in Kundli, Sonepat and Gharaunda. R&D centres in Gurgaon and Kundli facilities are approved by the Department of Scientific and Industrial Research (DSIR) and Ministry of Science and Technology. These have in-house tool rooms and testing facilities and are manned by 105 engineers.